Our Garden Room tiled roof system is the most successful product launch ever. Homeowners love the internal vaulted roof, Velux rooflights and the feeling of light and space, yet with the re-assurance of a solid, insulated and tiled roof. Our research and testing and shown that it’s also the most configurable ‘warm roof’ of it’s kind in the sector. So when it comes to installing and designing these Garden Rooms or sun rooms, we know that they will outperform a traditionally built single story extension. They are a permanent addition to any property, thanks to the very latest technology in our fully thermally broken aluminum windows combined with energy efficient glazing A New Room can design and install a sun room extension that is truly useable all year round. The Garden Room is a true ‘warm roof’ and as such they don’t suffer from condensation, issues which could subsequently cause mould and mildew. We’ve cleverly designed this roof to be fully insulated throughout, yet it can be fully installed in less than 2 days, we can add extra light and additional natural ventilation into the room by installing Velux rooflights. It’s also the most configurable roof of its kind in the UK market and so that means you’re not limited in the shape and style of Garden Room that we can design for you making this perfect for Conservatory replacement projects of any kind. We can also offer a wide range of tiled finishes, including a traditional Tapco slate effect finish or we can even match the tiles exactly to those of the main fabric of the house, the Garden Room roof system is robust enough to even cater for the heaviest of clay tiles available. We believe that our customers shouldn’t be limited in terms of product design and that’s why we are the experts in extended living space at A New Room. 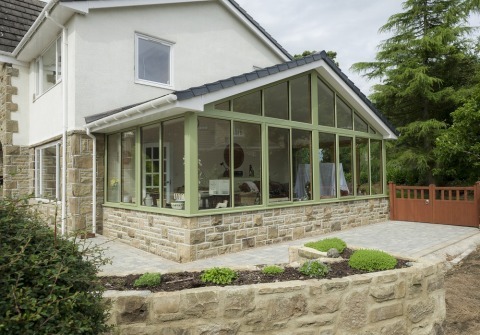 Garden Rooms are the in trend extensions to your home, combining the light and space of a conservatory with the permanence of a traditional extension. 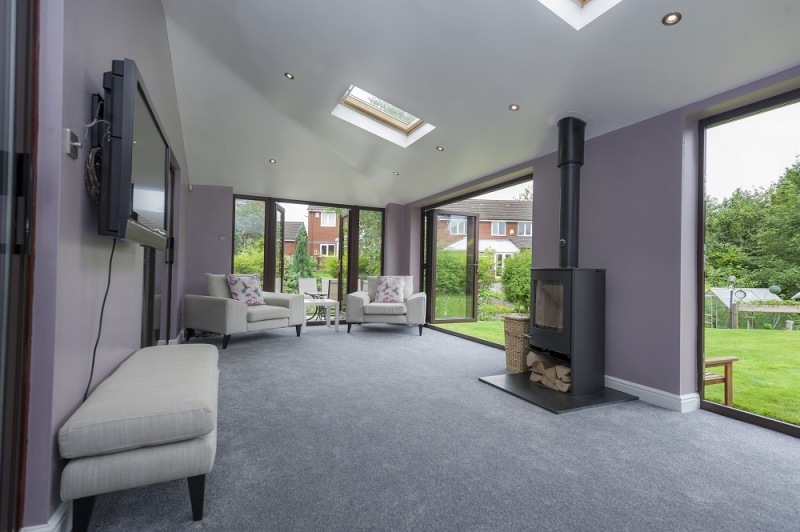 With other added features including bi-folding doors, Velux rooflights and a stylish hardwood strut for large spans, it’s no reason that a Garden Room has become a favorite investment of the nation.